That is one seriously cool cover. Love the sky background against the pile of bodies… and the way the gunsmoke drifts into the corner pic of Logan! Yeah, its awesome seeing Logan take on the Hulk gang! Sounds like a really intense issue. Can’t wait to read this later today! Good to hear you’re still enthralled by this title Paul, one which, as I’ve said before, I hope to one day catch up with! man, I am so behind on this title. looks really good. love that cover! 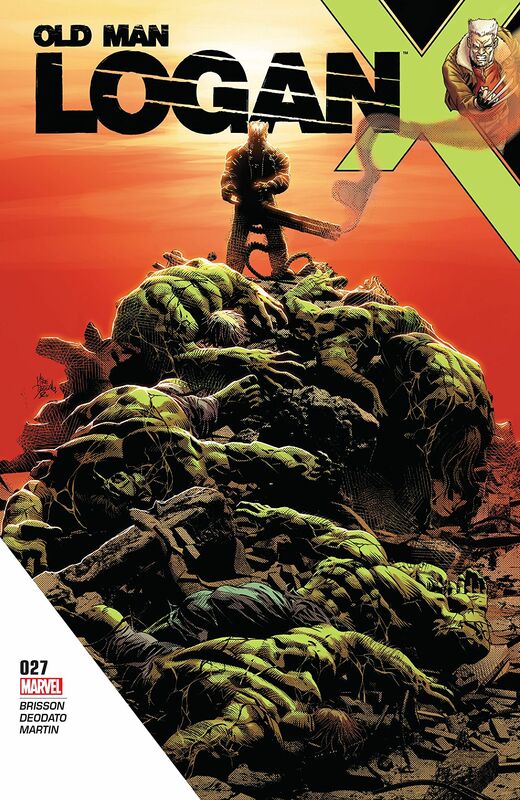 Such an awesome team on Old Man Logan right now, this is one of Marvel best books IMOP. Yeah, this series has had some fantastic covers!